It has been over a decade that we are seeing DB9 ruling the streets. Finally with its same car, Aston Martin has come with its GT version Aston Martin DB9 GT 2016. The GT from the company has come up after a long gap and that too at the same price. Being released at the Goodwood Festival of Speed, the model has some really great perks to win your heart. 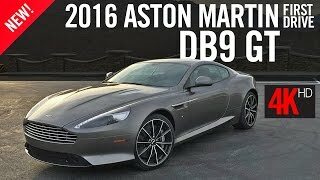 Let us have a look at the review of Aston Martin DB9 GT 2016 to know in detail about it. The interior of Aston Martin DB9 GT 2016 is truly beyond any comparison. It looks like company has paid a special attention in preparing the same. The first one to notice your attention here is the all new Ami II infotainment system. Yes this is the same that we noticed in Aston Martin Vanquish 14-15. The infotainment system is undoubtedly better than the one used in predecessors and offers more friendly command. Apart from this the entire interior isn’t changed much. However the GT embroidery over seats makes this model look unique. 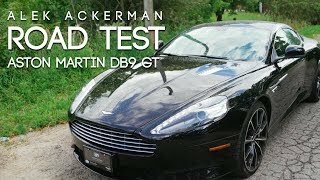 Thus rounding up the interior details of Aston Martin DB9 GT 2016 I would just say, the good ones are carried while the better has been added to deliver out-of-the-world experience. 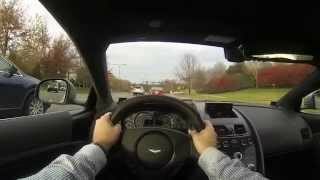 The exterior of Aston Martin DB9 GT 2016 has very few changes. This list includes a front splitter beneath a massive air vent. The front top portion has new set of headlights while the dark painted body makes the look more aggressive, especially the grille, which now looks more aggressive. Moving towards the rear end you’ll notice the new 20” wheels with black brake calipers. The rear end has carbon-fiber inserts across the newly integrated taillights. Beneath them is a new diffuser painted in black again. 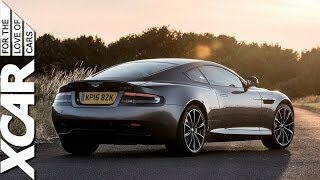 Thus rounding up the entire details of Aston Martin DB9 GT 2016 I would say, it has got more aggressive and gorgeous. 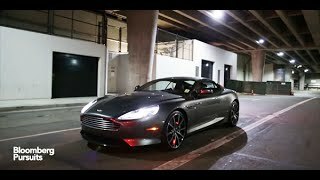 Powering the Aston Martin DB9 GT 2016 is a 6.0 liter V12 engine generating total output of 539 hp and peak torque of 620 nm paired to six-speed touchtronic II transmission with electronic shift-by-wire control system. With this power rolling the stunning 20” wheels, the top speed of Aston Martin DB9 GT 2016 touches the mark of 183 mph, while the 0-62 mph sprint can be knocked in just 4.5 seconds.